Fairly often I get emails or phone calls from people asking, “How do I get started in my audio engineer career?” These are some thoughts, experiences, and suggestions that I pass along to them. Becoming a successful (earning a living) audio engineer is very much the same as a successful (earning a living) musician. A large majority of successful recording engineers are those who do it because it’s the only thing they’ve ever really wanted to do. An extremely small percentage of engineers become wildly successful, earning big bucks and working with famous artists. A small percentage, like myself, have a successful career path. It moves from job to job, with a regular client base. There are additional clients that drift into my sphere of work, and then drift out again. Some audio engineers end up doing it as a hobby or side-job. They enjoy the creativity and technical aspects of it, but don’t depend on it to pay the bills. Many who start out on this path become frustrated by the lack of advancement or financial reward, so they find other jobs or careers. I have earned my living in this business for over 30 years, with much support from my family. I worked as a staff engineer at 4 different studios in the Washington DC area. I’ve done live shows in countless clubs and venues all over the east coast. And now I’m a free-lance music recording engineer. Here’s my advice to those who want to get into this business. 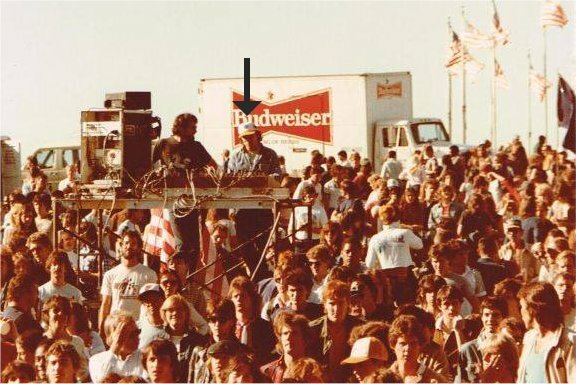 Yeah, that’s me, in the white baseball cap, mixing a show in front of the Washington Monument, in October 1983. By this time, I was working full time as a live audio engineer. I began my career by mixing bands for live shows, and I recommend this to anybody trying to become an audio engineer. You’ll get exposed to a variety of acoustic environments, gain experience on different types of mixers and outboard gear, and start to develop a network of music business people. Start off by finding a regular working band that doesn’t have a sound engineer and join them. By regular, I mean at least 4 gigs per month on average. If they don’t work that often, then see if you can find several bands that have spotty schedules. Here’s how you can gain their trust and confidence and become a valuable part of their team. Show up before everyone else, help move in the gear, set-up, tear-down, move out the gear, and leave last. Out-work them. Out-working everyone else develops your image as a leader, and the band’s confidence in you will increase. As a studio engineer, I need to establish that confidence connection within 10 – 20 minutes after starting a session with a band I have never met before. Developing this attitude will greatly increase your chances of success in this business. Your clients must trust you. The clubs and venues you’ll work in will have acoustics ranging from good to awful, and you’ll start to learn how to work within these varied spaces. When working in a bad sounding venue, you’ll learn to adjust and adapt. There might be some EQ adjustments that can improve the situation, proper speaker placement might minimize feedback problems, and a good-sized crowd almost always helps tighten up an overly ambient space. The important fact is YOU ARE WORKING with a band, being exposed to different acoustic environments, working with lots of different gear, and meeting people. Hopefully, you are learning at every performance. The band most likely has a PA system, and you’ll become comfortable working with it. But many clubs have sound systems permanently installed, and often require acts to use them instead of the own. You’ll start to learn how to work on different mixers and outboard gear. These clubs have a staff engineer who hopefully assist you. An excellent example of how to NOT have a successfule audio engineer career. Working different venues will provide you with the opportunity develop your network of music business people. In addition to meeting the tech staff, you’ll be able to develop relationships with musicians and engineers from other bands. Perhaps someday the engineer from another band might not be able to make it to a gig. If that band remembers and liked you, you might get a call to come work for them for that show. If you do a good job (arrive first, leave last,) you might get more work from them. Another option is to start to work at a club that has a house PA system. You’ll probably start off as a stagehand, but again, by out-working everyone else (first to arrive, last to leave) you’ll have the opportunity to work your way up through the tech staff. You’ll start mixing some acts that don’t have a band audio engineer. Working at a club gives you opportunities to expand your network because you’ll meet and work with all the bands that appear there. Some acts may make regular appearances there, so you’ll get to know them quite well. The larger your network is, the better the chances are of you finding more work and advancing your career. 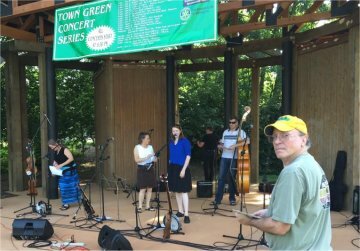 Churches have PA systems, and often there are small bands performing at the “contemporary” services, and that’s an opportunity for a regular job as an engineer. I have worked at many churches to provide training for their audio staff, and also do trouble shooting for their PA systems. 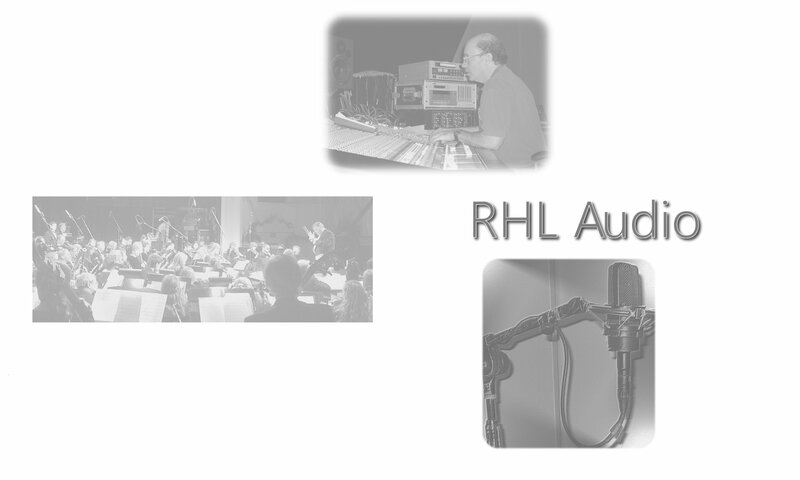 The result of this hands-on experience and networking will help prepare you for doing sessions in a recording studio. Now it’s time to think about school.